A European tradition dating back to the 19th century, Moravian stars like this one were displayed in windows during the days leading up to Christmas, but now have come to evoke a spirit of celebration year-round. Featuring an oil rubbed bronze finish and clear glass sides, this metal star Flush Mount is a dramatic addition to any living space. 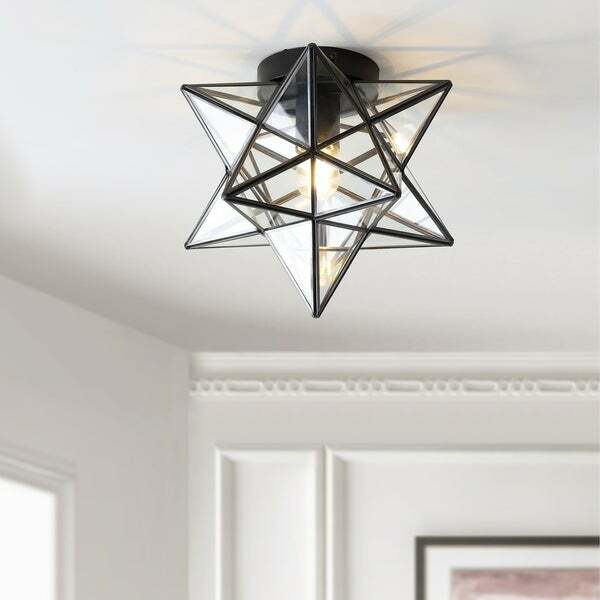 An eye-catching fixture, this flush mount features an iron construction finished in bronze, framing clear glass panels to create its attention-grabbing star silhouette. Dimensions 12.0 In. X 12.0 In. X 9.75 In.